Latest styles Augusta Activewear clothing for men, women, and kids. Augusta Boys Heather Short Sleeve Training Tee AUG2901E: A lightweight top perfect for practice or working out. Features include a crew neck, short sleeves, and moisture-wicking heathered fabric. 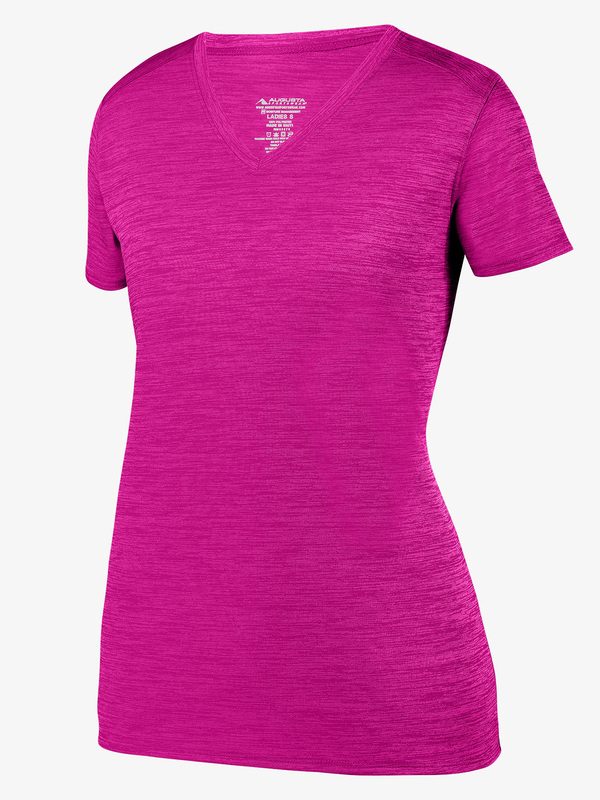 Augusta Womens Heather Short Sleeve Training Tee AUG2902E: A lightweight top perfect for practice or working out. Features include a v-front, short sleeves, and moisture-wicking heathered fabric. 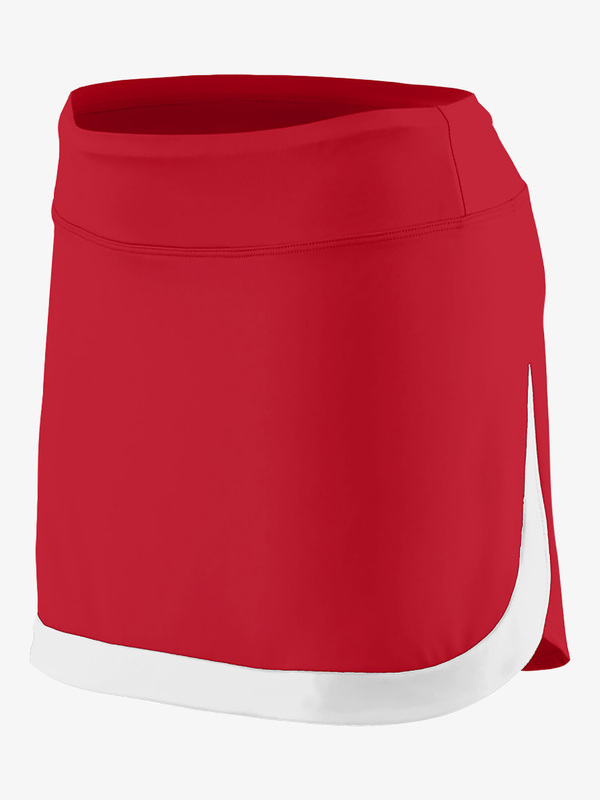 Augusta Girls Colorblock Active Skort AUG2411E: A trendy skort featuring odor-resistant and moisture-wicking fabric, a low-rise waistband, hidden waistband pocket, an attached inner short with flatlock seaming, a subtle side slit, and a contrast curved hem. Make it your own by adding your team logo or a custom design! Augusta Girls Cheerflex Long Sleeve Shell AUG9211E: Become a top all star in this Cheerflex-inch shell featuring a contrast v-front, dual-toned long sleeves with a metallic stripe, a contrast upper bodice with a metallic stripe insert, and odor-resistant, moisture-wicking fabric. Augusta Womens Cheerflex Long Sleeve Shell AUG9210E: Become a top all star in this Cheerflex-inch shell featuring a contrast v-front, dual-toned long sleeves with a metallic stripe, a contrast upper bodice with a metallic stripe insert, and odor-resistant, moisture-wicking fabric. Augusta Large Tri-Colored Dance Backpack AUG1915: Carry your dance class essentials with ease in this dance backpack! 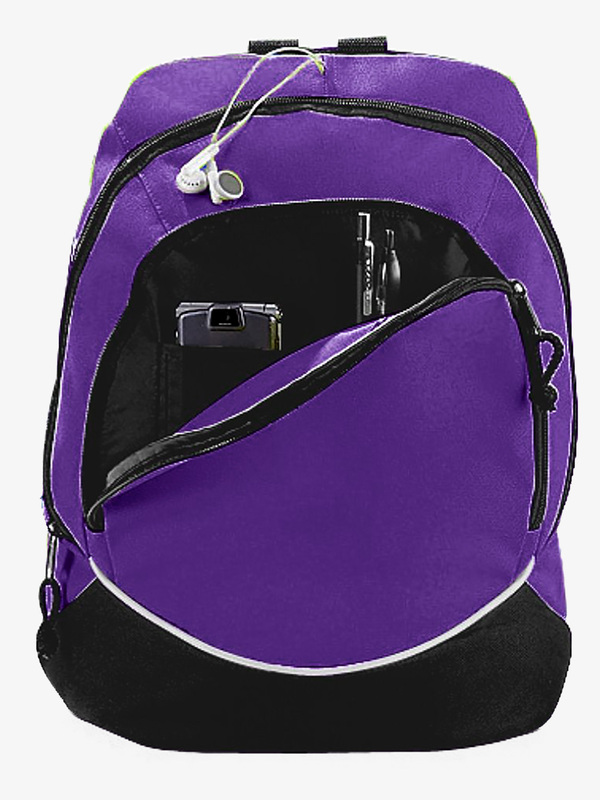 Large tri-color dance backpack comes in an array of dance and cheer team colors and includes a zippered main compartment with two zipper pulls, a zippered front compartment, inside zippered and padded pocket with opening for earphones, web handle at top of backpack and a padded back for support and comfort. Other features include adjustable contoured shoulder straps, black bottom with accent piping and bottom board attached to inside of backpack.All Augusta bags are made in vibrant team colors with a simple construction that makes customizing for your special dancer or for the entire team easy! Size: 12-inch x 16.5-inch x 7. Augusta Girls Explosion Tank Top Shell AUG9121: Cheer on your favorite team in this Explosion cheer racerback tank top. 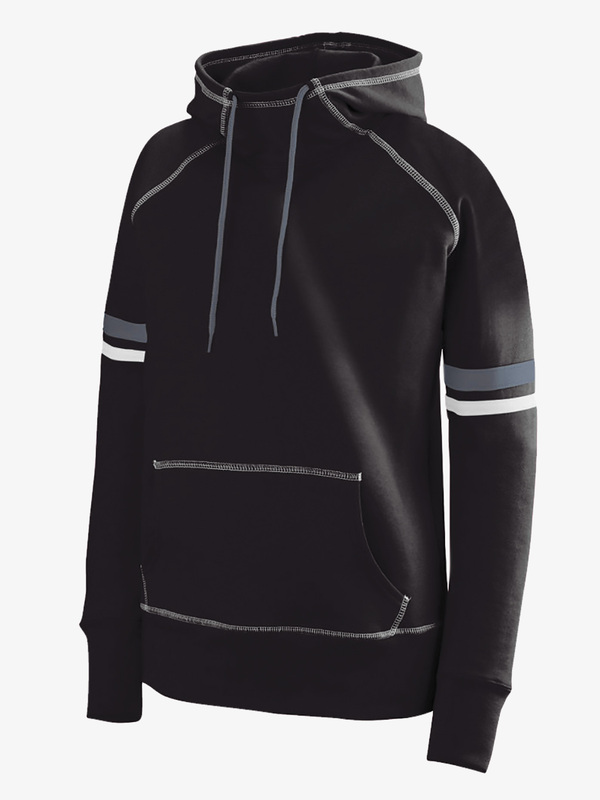 Features include a v-neck and contrast color triangular side panels with two-color rib trim. Augusta Ladies Explosion Racerback Shell AUG9120: Cheer on your favorite team in this Explosion cheer racerback tank top. 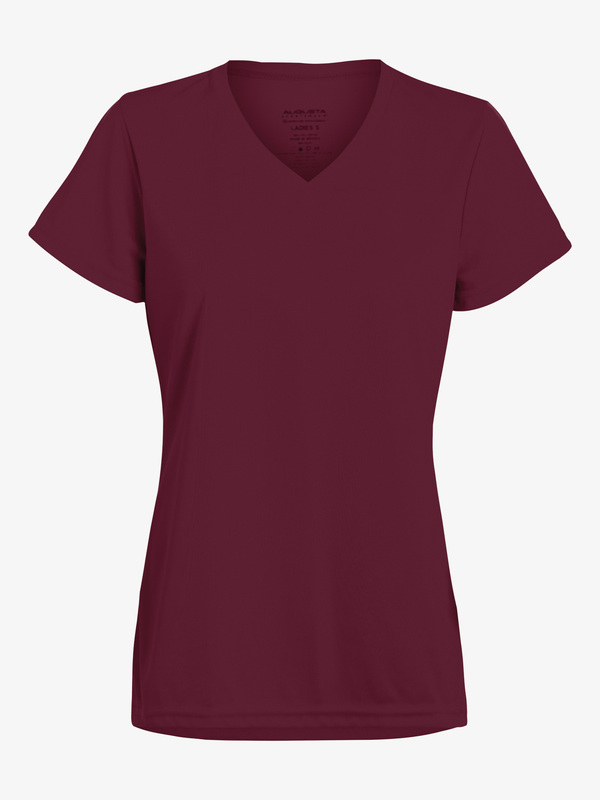 Features include a v-neck and contrast color triangular side panels with two-color rib trim. Augusta Girls Pike Cheer Shell AUG9141E: Cheer on your team in the Pike-inch shell by Augusta. Featuring a v-front, tank sleeves, a center contrast insert, three-color ribbed trim at the neckline, shoulder, and waist, and odor-resistant, moisture-wicking fabric. Augusta Womens Pike Cheer Shell AUG9140E: Cheer on your team in the Pike-inch shell by Augusta. Featuring a v-front, tank sleeves, a center contrast insert, three-color ribbed trim at the neckline, shoulder, and waist, and odor-resistant, moisture-wicking fabric. Augusta Girls V-Front Short Sleeve Workout Tee AUG1791E: Classic and functional, this short sleeve tee features a v-front and moisture-wicking knit fabric. Augusta Womens V-Front Short Sleeve Workout Tee AUG1790E: Classic and functional, this short sleeve tee features a v-front and moisture-wicking knit fabric. 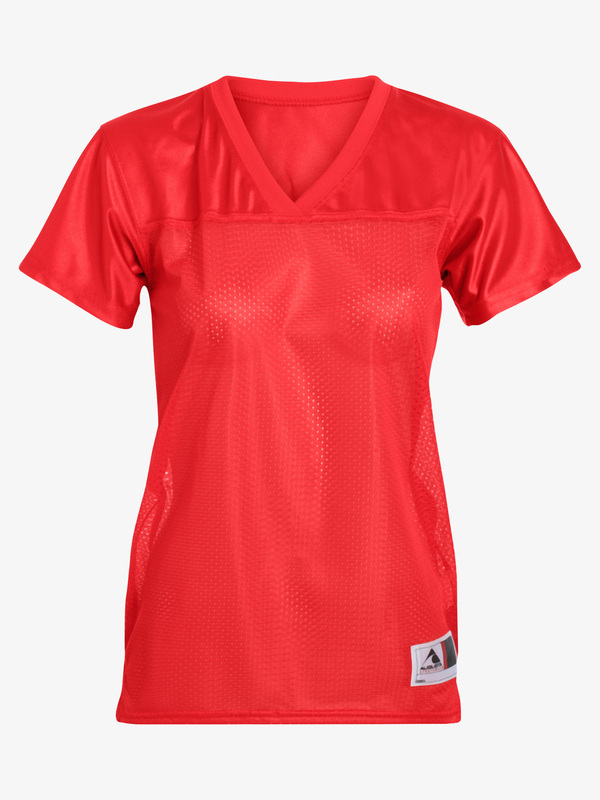 Augusta Girls Mesh Short Sleeve Jersey Tee AUG251E: Get your game on! This jersey tee features allover polyester trictot mesh, v-front, short sleeves, and side vents. Augusta Womens Mesh Short Sleeve Jersey Tee AUG250E: Get your game on! This jersey tee features allover polyester trictot mesh, v-front, short sleeves, and side vents. Augusta Child Medalist Warm-Up Pants AUG7761: Inspire spirit in your whole team in these Medalist-inch warm-up pants. 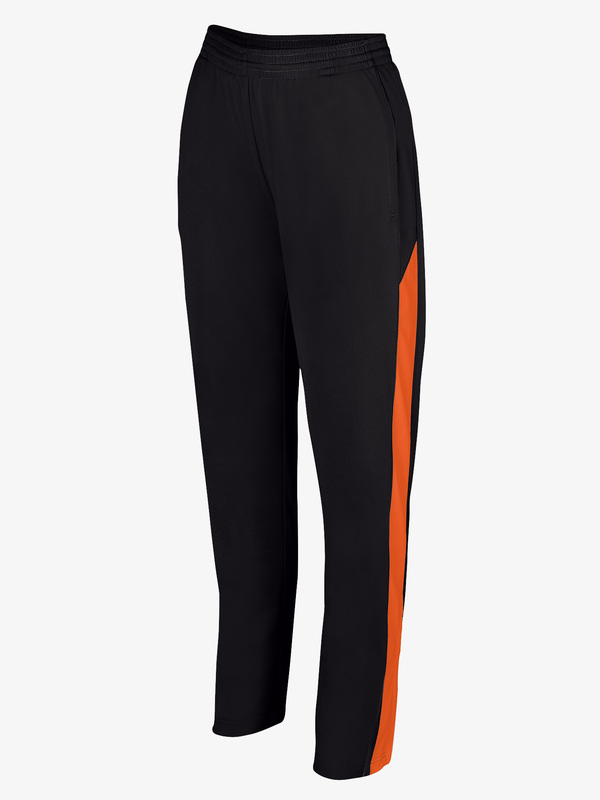 Pants feature color block two-tone styling, a soft covered elastic band with inner drawcord, side seamed pockets, and outer zipper on the lower leg. Pair with the matching warm-up jacket for a stunning pre-competition look! Augusta Adult Unisex Medalist Zip Front Warm-Up Jacket AUG4395: Inspire spirit in your whole team in this Medalist-inch warm-up jacket. Jacket features color block two-tone styling, a zip front, set-in sleeves, front seamed pockets, and a comfortable heat sealed label. 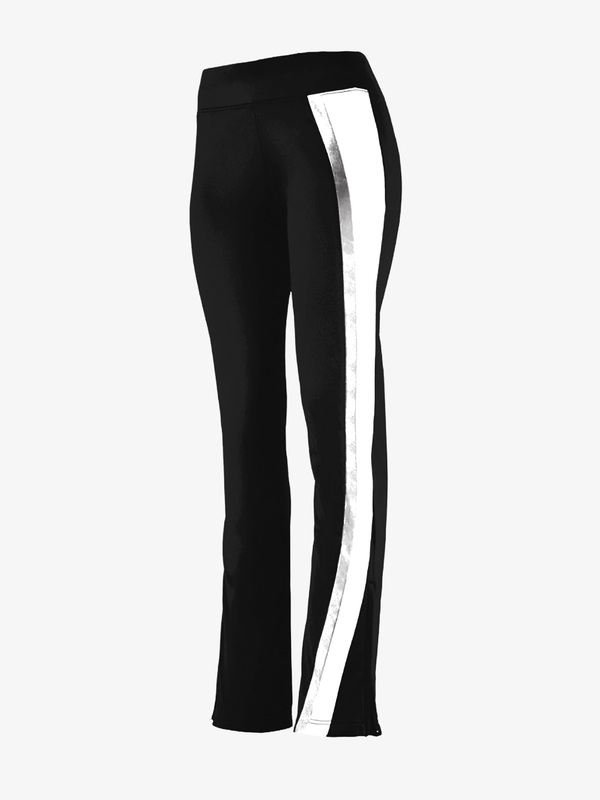 Pair with the matching warm-up pants for a stunning pre-competition look! Augusta Child Medalist Zip Front Warm-Up Jacket AUG4396: Inspire spirit in your whole team in this Medalist-inch warm-up jacket. 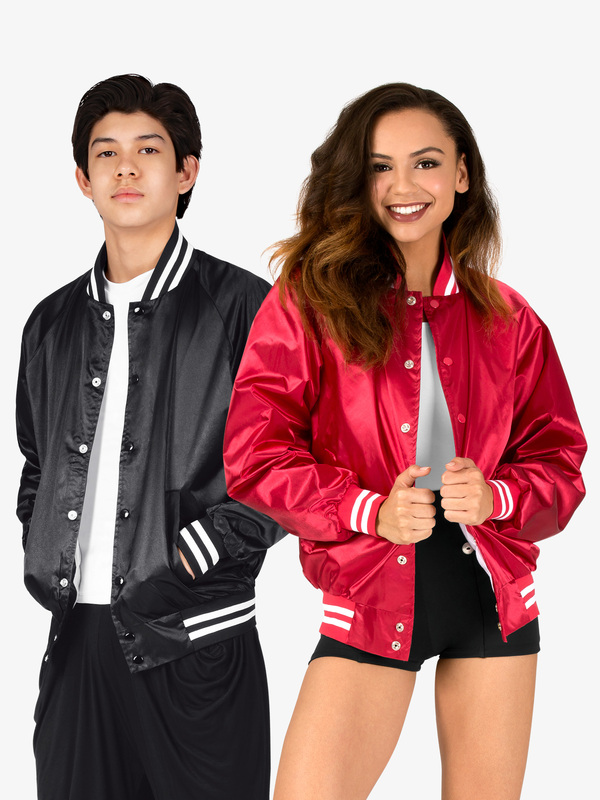 Jacket features color block two-tone styling, a zip front, set-in sleeves, front seamed pockets, and a comfortable heat sealed label. Pair with the matching warm-up pants for a stunning pre-competition look! Augusta Ladies Medalist Zip Front Warm-Up Jacket AUG4397: Inspire spirit in your whole team in this Medalist-inch warm-up jacket. 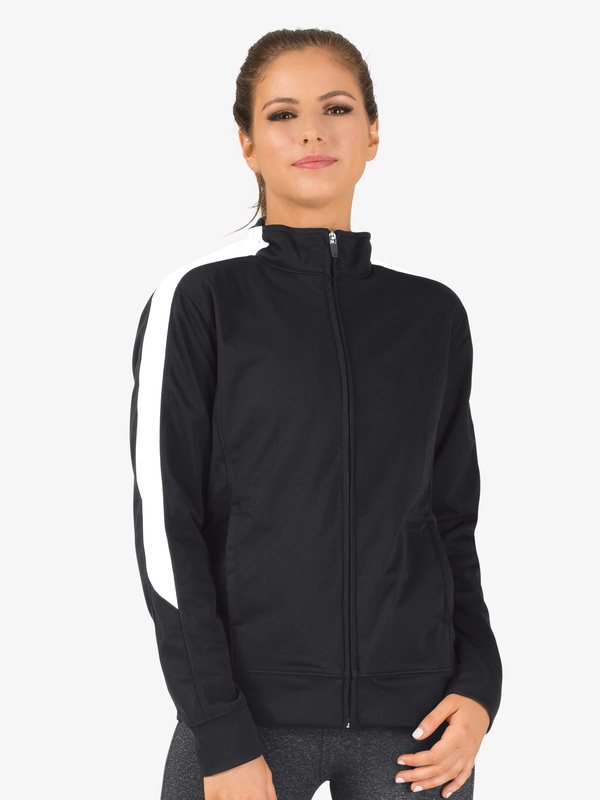 Jacket features color block two-tone styling, a zip front, set-in sleeves, front seamed pockets, and a comfortable heat sealed label. Pair with the matching warm-up pants for a stunning pre-competition look! Augusta Girls Softball Style Jersey Top AUG1666E: Knock it out of the park! 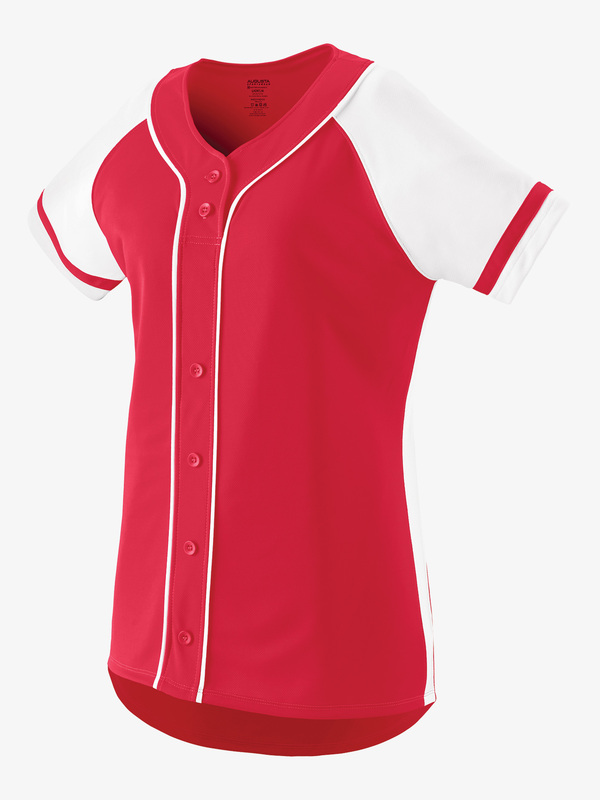 This short sleeve jersey features a v-front, moisture-wicking micromesh fabric, decorative front buttons, contrast colored sleeves with contrasting stripe, and contrast front piping. 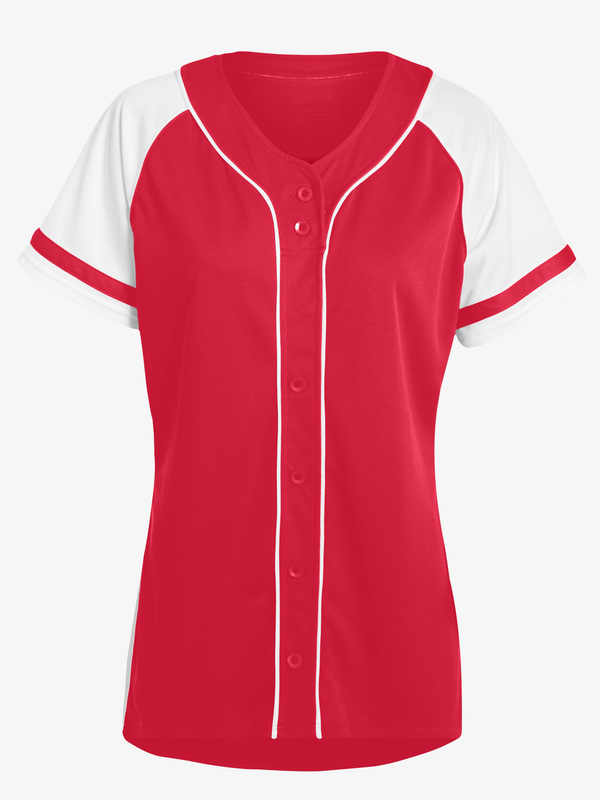 Augusta Womens Softball Style Jersey Top AUG1665E: Knock it out of the park! 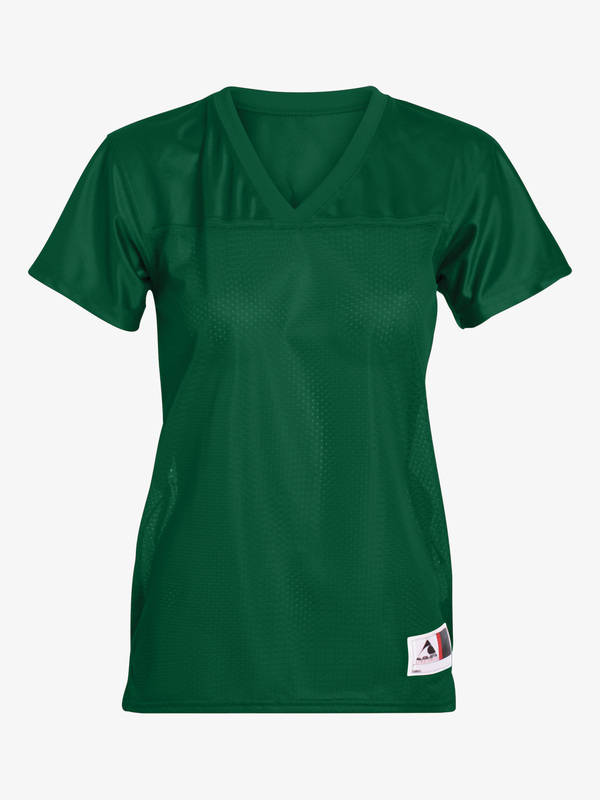 This short sleeve jersey features a v-front, moisture-wicking micromesh fabric, decorative front buttons, contrast colored sleeves with contrasting stripe, and contrast front piping. 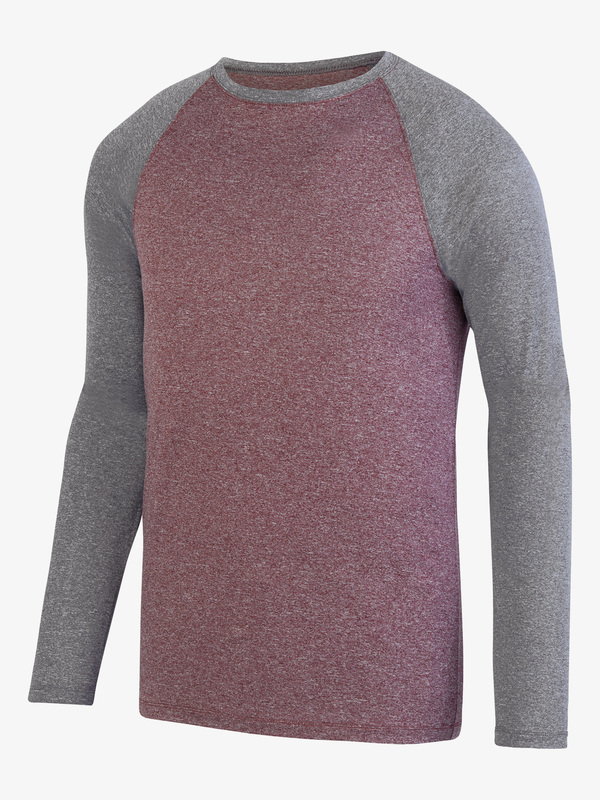 Augusta Mens Two-Tone Raglan Tee AUG2815E: Look sporty yet casual in this long sleeve tee featuring contrasting raglan long sleeves, a crew neck, moisture-wicking fabric, and a heathered look that reduces dye migration. Augusta Girls Cap Sleeve Jersey Tee AUG1219E: Match with your team in this short sleeve jersey tee featuring a v-front with a contrast collar insert, contrasting princess seams, and moisture-wicking knit construction. Augusta Womens Cap Sleeve Jersey Tee AUG1218E: Match with your team in this short sleeve jersey tee featuring a v-front with a contrast collar insert, contrasting princess seams, and moisture-wicking knit construction. 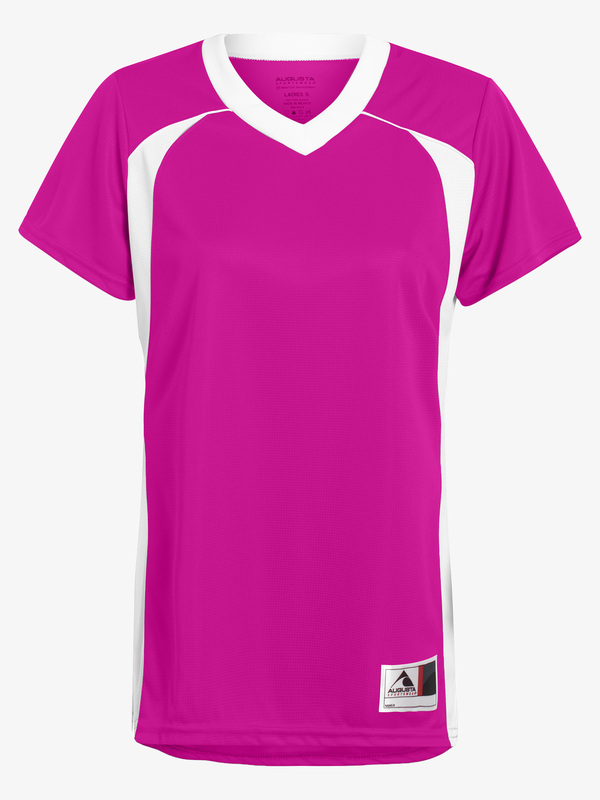 Augusta Girls Short Sleeve Jersey Top AUG263E: Perfect for your team's next event, this feminine jersey features a v-front, short sleeves, contrast colored front and side inserts, breathable grid mock mesh fabric, and side vents. 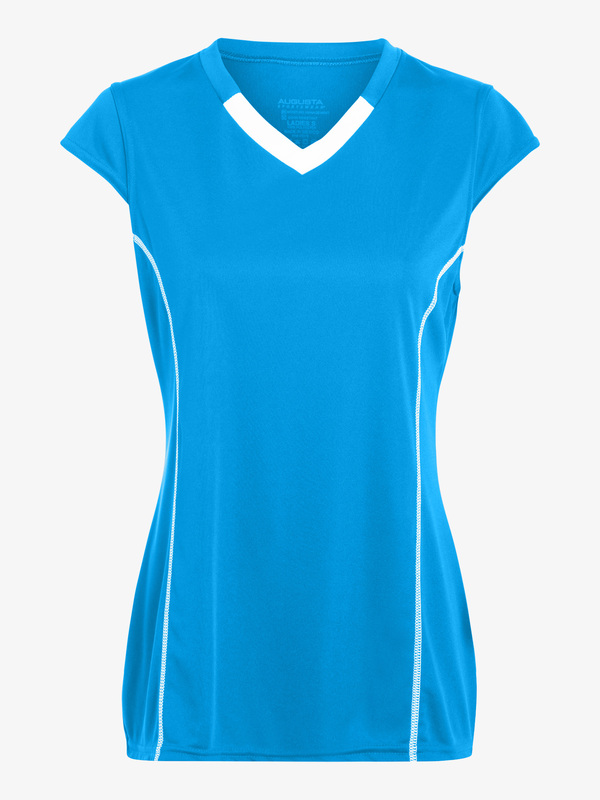 Augusta Womens Short Sleeve Jersey Top AUG262E: Perfect for your team's next event, this feminine jersey features a v-front, short sleeves, contrast colored front and side inserts, breathable grid mock mesh fabric, and side vents. 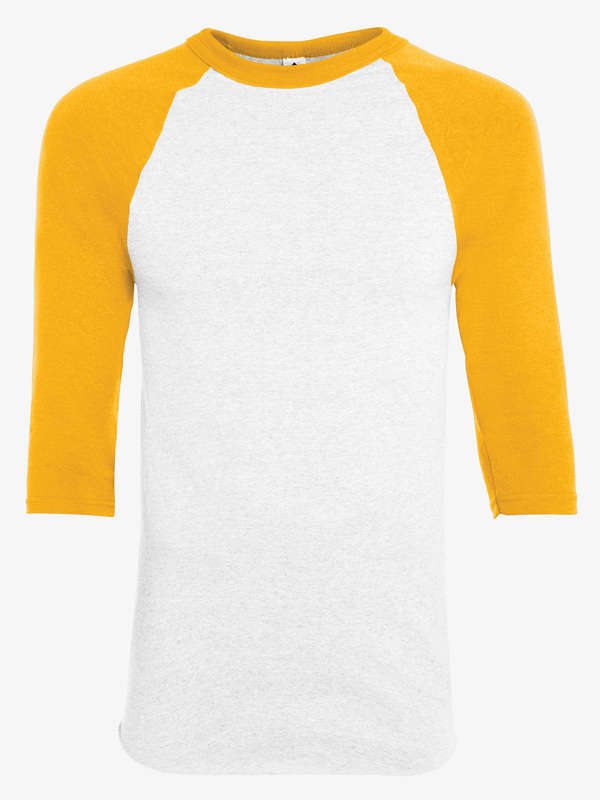 Augusta Boys 3/4 Sleeve Baseball Tee AUG421E: Show off your team pride in this 3/4 sleeve tee featuring jersey knit blend fabric, contrast colored sleeves and collar, baseball tee style design, and a curved hem. Augusta Mens 3/4 Sleeve Baseball Tee AUG420E: Show off your team pride in this 3/4 sleeve tee featuring jersey knit blend fabric, contrast colored sleeves, baseball tee style design, and a curved hem. Augusta Spirit Dance and Cheer Bag AUG1825: Stash all of your dance, cheer and gym necessities in this amazing duffle bag! Bag features matching web handles with a self-fabric handle wrapper, an adjustable and detachable matching shoulder strap, plastic hardware and a removable inside bottom board. 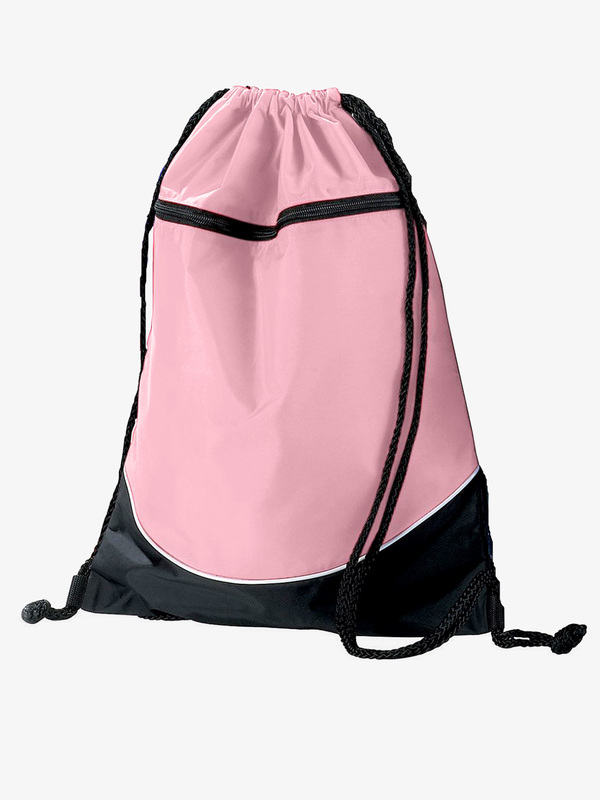 Bag also features a main zippered compartment and side pockets.All Augusta bags are made in vibrant team colors with a simple construction that makes customizing for your special dancer or for the entire team easy! Size: 18-inch x 9-inch x 10. 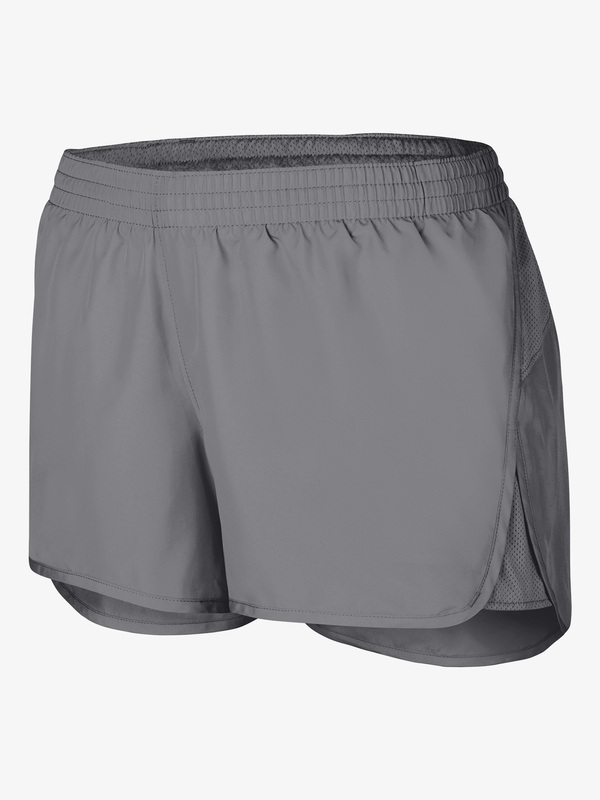 Augusta Womens Low Rise Dance Shorts AUG1232E: Stay comfortable in these shorts designed with a low-rise, thick, stretch waistband, moisture-wicking fabric, a seamless front, and flatlock seams that provide comfort and avoid chafing. Inseam: 2 1/2 inches. 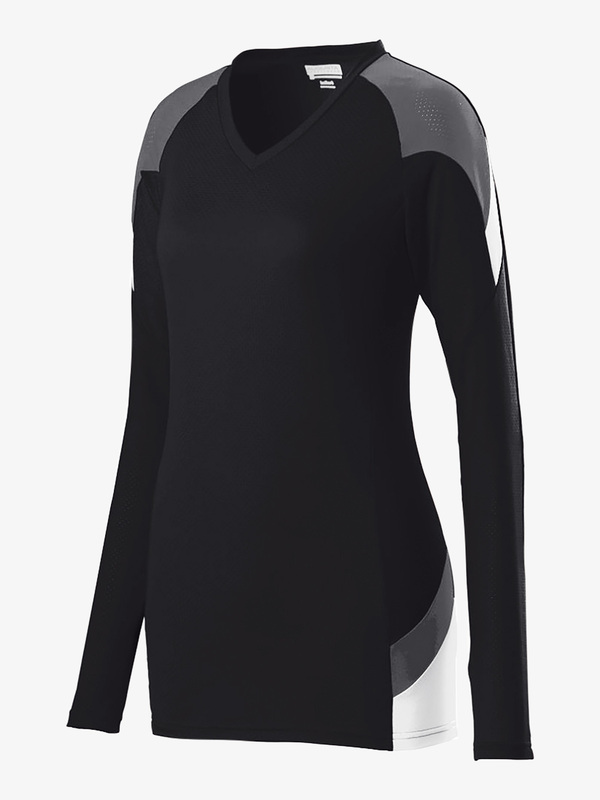 Augusta Girls Mesh Long Sleeve Fitness Top AUG1326E: Stay cool in this pinhole mesh long sleeve top featuring a v-front, contrasting sleeve and side wraparound inserts, and moisture-wicking fabric. 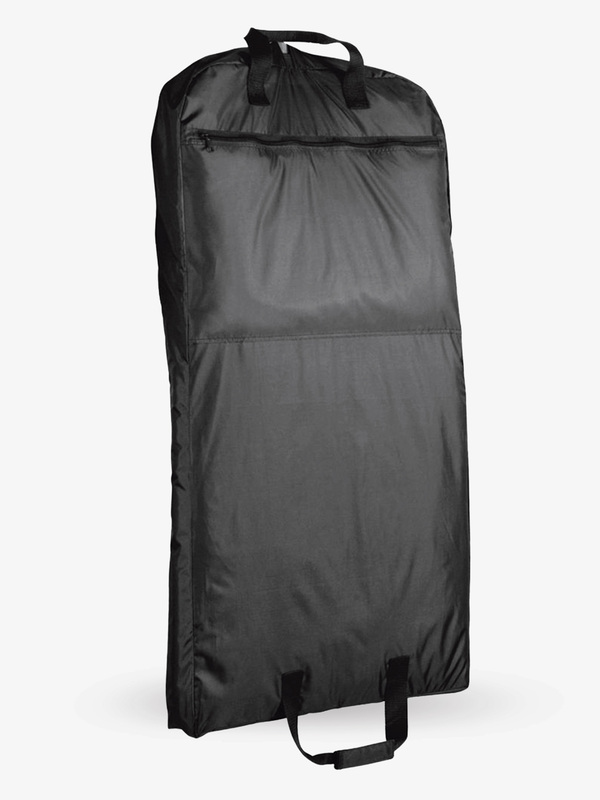 Augusta Lightweight Foldable Dance Bag with Shoe Pocket AUG1141: The easy packing solution that will hold all of your practice or competition essentials! 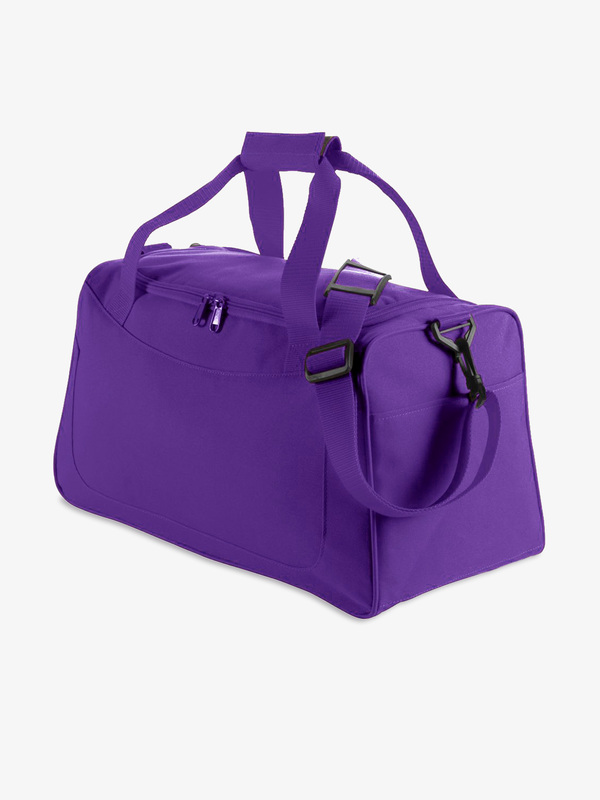 Perfect for daily use or on-the-go, fold this collapsible bag into travel luggage for a full-size dance bag when you need it. Inner PVC coating adds durability, while the lining remains free of any hard inserts, fitting odd shaped items with ease! Bag features a large main zippered compartment, zippered compartment pockets on each side, an inside zippered pocket, and a comfortable self fabric shoulder strap. All Augusta bags are made in vibrant team colors with a simple construction that makes customizing for your special dancer or for the entire team easy! Size: 21.75-inch x 9-inch x 10. Augusta Tri-Color Drawstring Dance Bag AUG1920: The perfect on-the-go bag! This drawstring backpack features a stylish tri-color design with top cinch drawstring cord, zippered front pocket and black bottom with white accent piping. Great for dance class, teams and gym! All Augusta bags are made in vibrant team colors with a simple construction that makes customizing for your special dancer or for the entire team easy! Size: 14-inch x 18. Augusta Ladies French Terry Capris AUG2108: These comfortable french terry capri pants features a rib waist and leg cuffs, a flattering ladies fit, low rise, elastic waistband with interior drawstring for an adjustable fit, flatlock seaming, and a 20-inch graded inseam. Augusta Juniors Low Rise Workout Shorts AUG2428: These cute athletic inspired shorts feature a polyester plexus print sublimated shell, mesh side inserts, polyester moisture wicking lining, elastic drawstring waistband, attached inner brief, inside key pocket, and 3.5-inch inseam. Wear with a cute top to practice! Augusta Ladies Action Color Block Capri Pants AUG2405: These sleek capri pants feature an odor resistant, moisture wicking material and a comfortable ladies' fit. Capri pants feature a pad print label for comfort, a low rise, and a wide flat waistband for a secure fit and comfort. Features also include a hidden possession pocket in the waistband, flat lock stitching, and flattering contrast inserts. 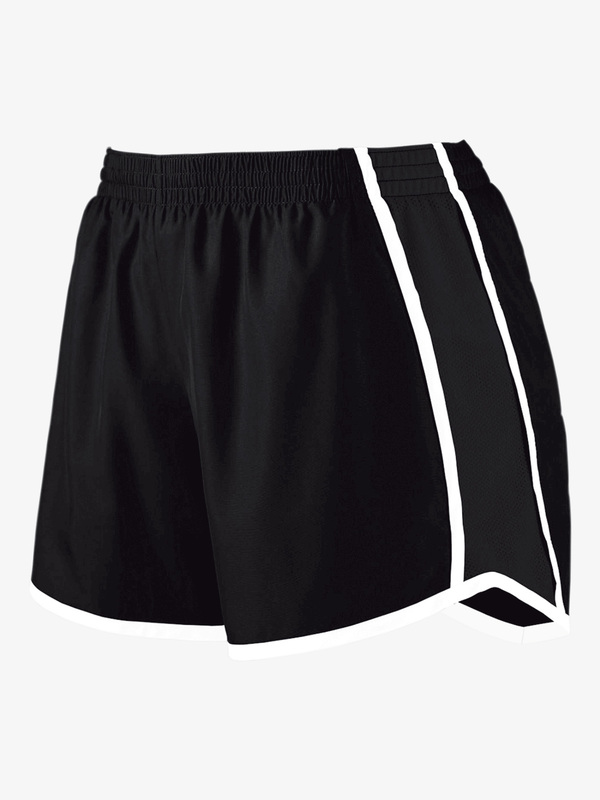 Augusta Ladies Reversible Inseam Shorts AUG1227: These sporty dance and team shorts feature a heavyweight polyester/spandex odor resistant plexus printed outer shell, lightweight polyester/spandex lining, a flattering ladies fit, and low rise. Shorts are fully reversible with removable label, a comfortable wide waistband, u-shaped gusset, flat lock seaming, and 3-inch inseam. Augusta Ladies Wide Waistband Boot Cut Pants AUG2400: These sporty pants feature an odor resistant, moisture wicking polyester/spandex blend with a comfortable ladies fit. Also features a pad print label for comfort, a low rise, a wide flat waistband for secure fit and comfort, and side seams that wrap to the back for a flattering fit. Pants also feature a hidden possession pocket in the waistband and flat lock stitching. Machine was cold, hang dry. 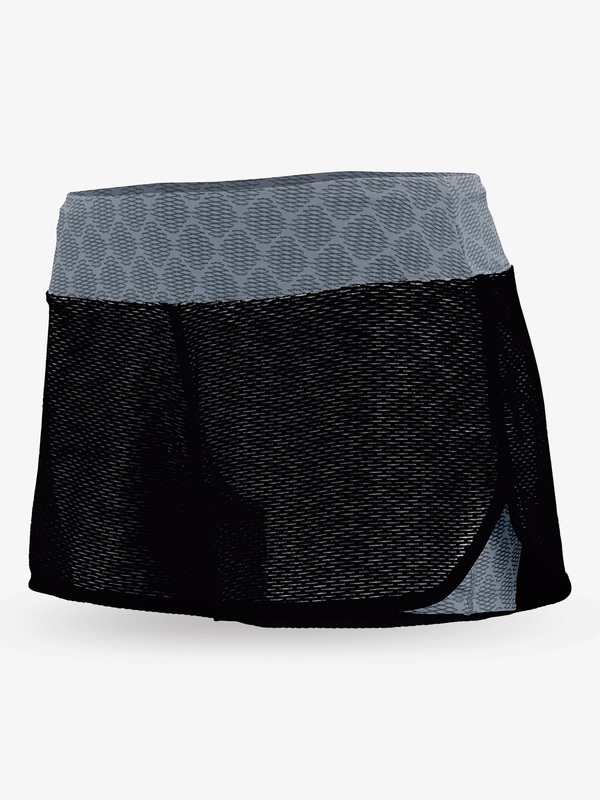 Augusta Ladies Maze Mesh Double Layer Shorts AUG2424: These sporty shorts feature double layer styling with a heavyweight plexus print attached inner short and a lightweight maze mesh outer short. Shorts also feature a flattering ladies fit, low rise, wide waistband with hidden possession pocket, and flatlock seaming. Inseam on inner shorts: 3.5. Inseam on outer shorts: 3. 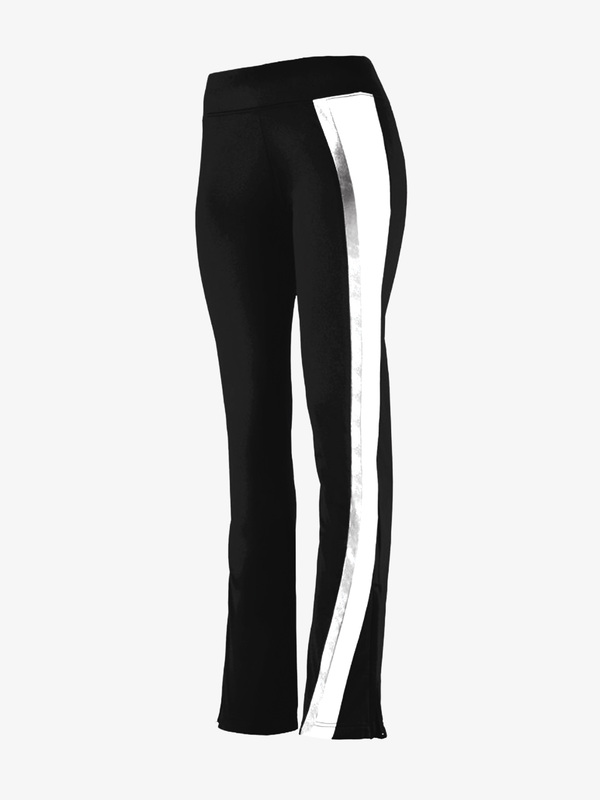 Augusta Girls Low Rise Pants AUG7738: These super trendy warm up pants feature a polyester matte brushed tricot fabric, a flattering ladies fit, moderate flare at the knee, asymmetrical side stripe, and 9-inch zipper on the outside lower leg. 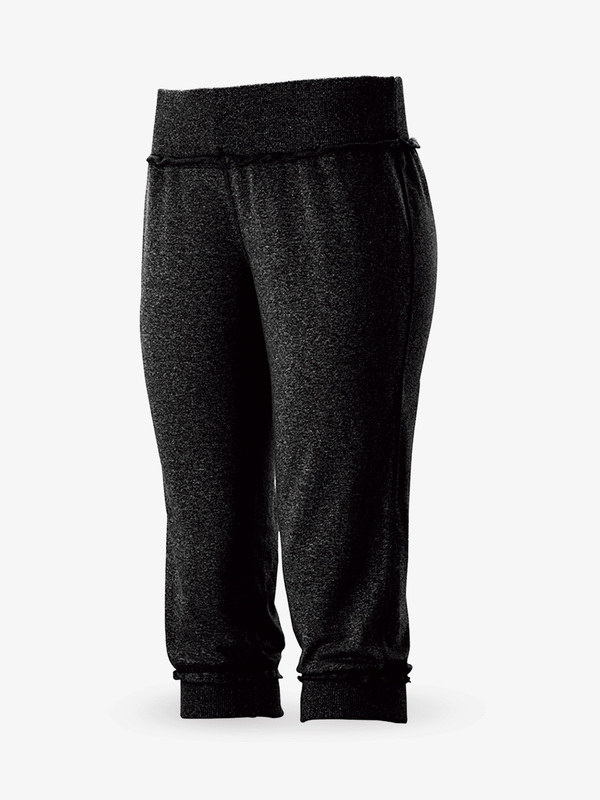 Augusta Ladies Low Rise Pants AUG7737: These super trendy warm up pants feature a polyester matte brushed tricot fabric, a flattering ladies fit, moderate flare at the knee, asymmetrical side stripe, and 9-inch zipper on the outside lower leg. Augusta Ladies Team Shorts AUG1265: These team shorts offer comfort and style! Features include a moisture wicking liner, junior fit, low rise, and an inner brief with elastic leg bands. 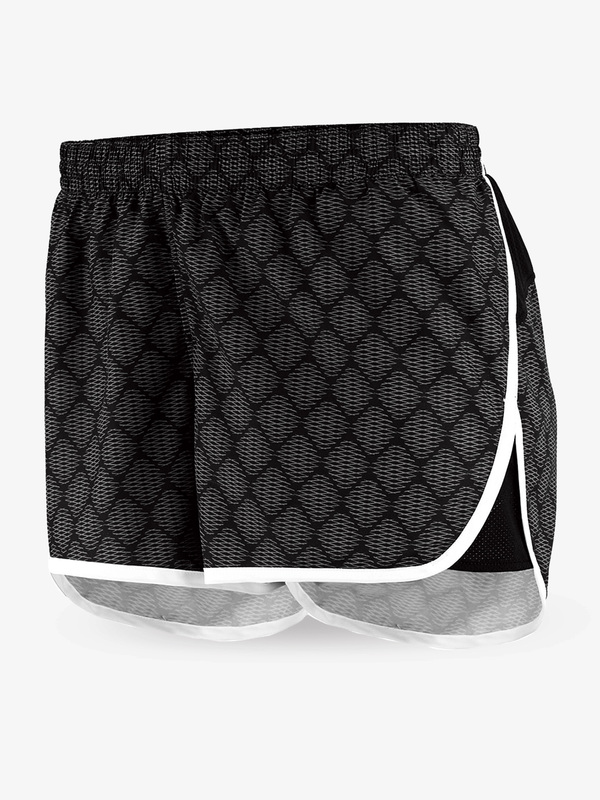 Shorts also feature an inside key pocket, an elastic waistband, contrasting mesh side inserts, and a 4-inch inseam. 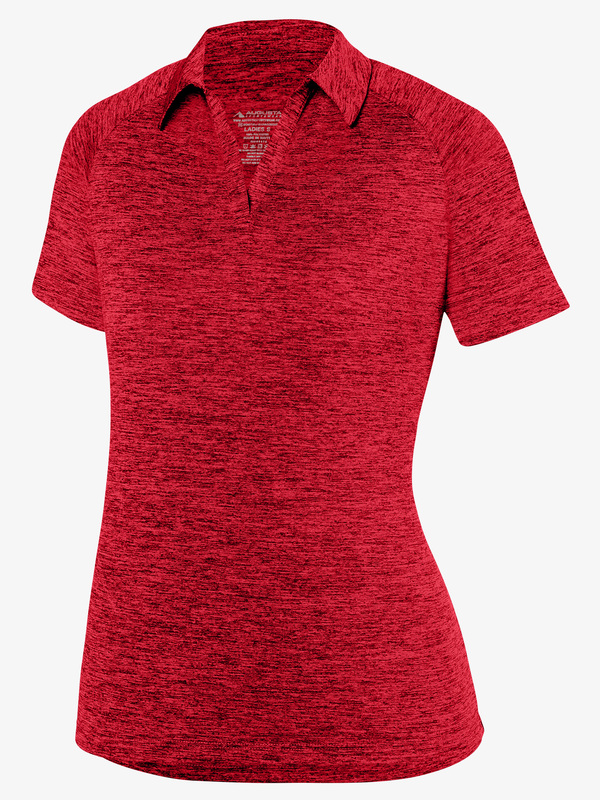 Augusta Womens Collared Short Sleeve Polo AUG5409E: This classic short sleeve top features a collar, short sleeves, a v-front, and heathered moisture-wicking fabric. Great for a team or studio outing! 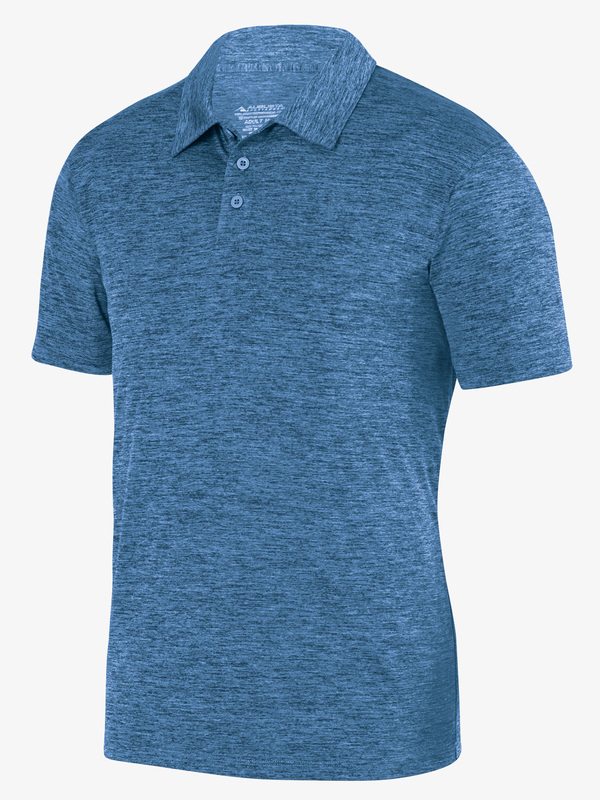 Augusta Mens Collared Short Sleeve Polo AUG5408E: This classic short sleeve top features a collar, short sleeves, three functional front buttons, and heathered moisture-wicking fabric. Great for a team or studio outing! Augusta Girls Liberty Cheer Skirt AUG9116: This cute and sassy cheer skirt features an elastic waistband and contrast color pressed box pleats with yoke. 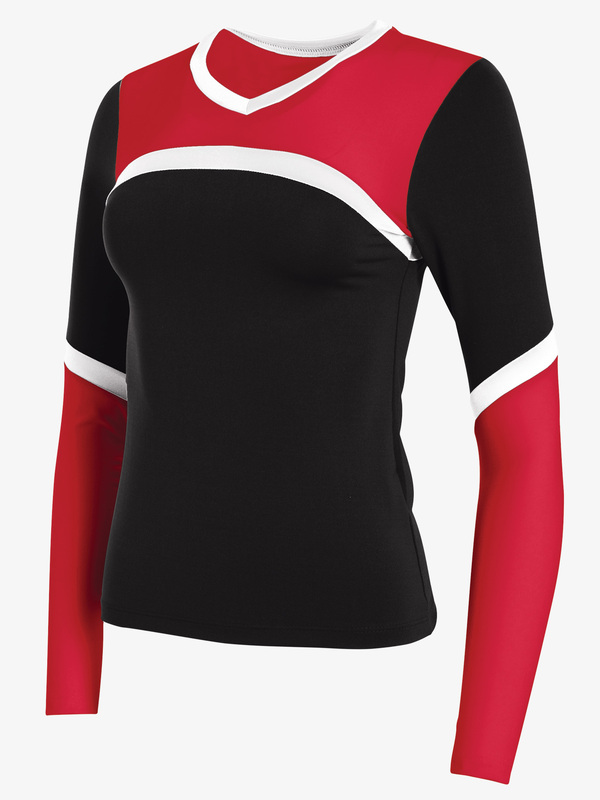 Augusta Girls Long Sleeve Workout Top AUG1321E: This form-fitting long sleeve top features a v-front, moisture-wicking fabric to help keep you dry, and contrasting colored shoulder and lower side panels. Customize it with your team logo or your own special design! 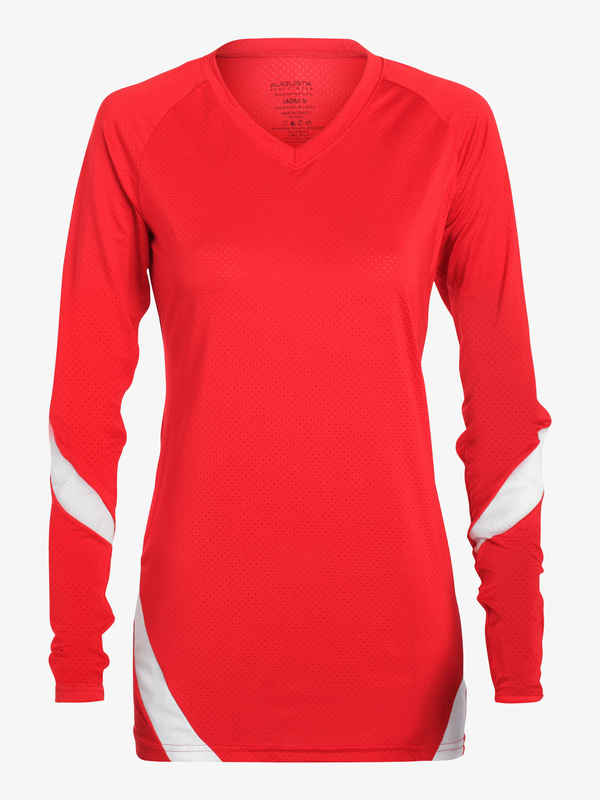 Augusta Womens Long Sleeve Workout Top AUG1320E: This form-fitting long sleeve top features a v-front, moisture-wicking fabric to help keep you dry, and contrasting colored shoulder and lower side panels. Customize it with your team logo or your own special design! 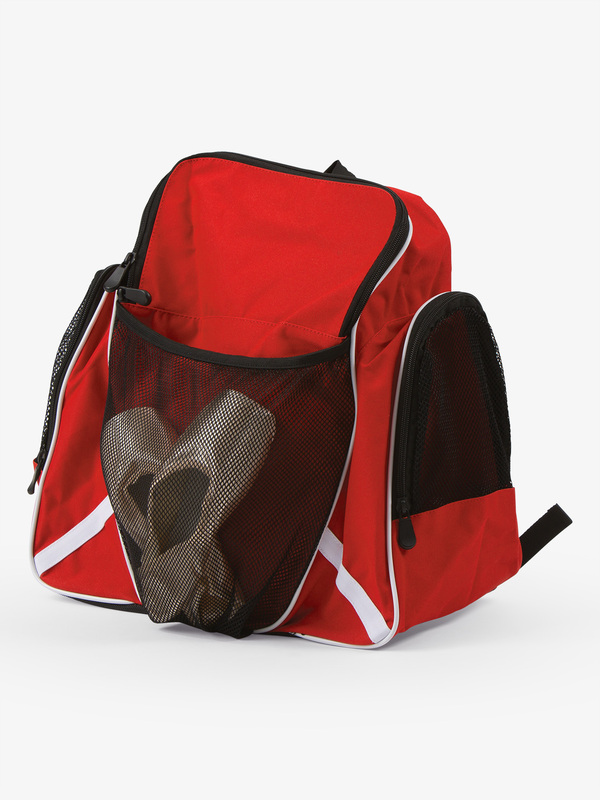 Augusta Ripstop Dance Backpack AUG1710: This ripstop dance backpack features a zippered main compartment with covered zipper and two zipper pulls, a zippered front pocket with inside pen holders, an interior cell phone holder and zippered pocket and two mesh side pockets. 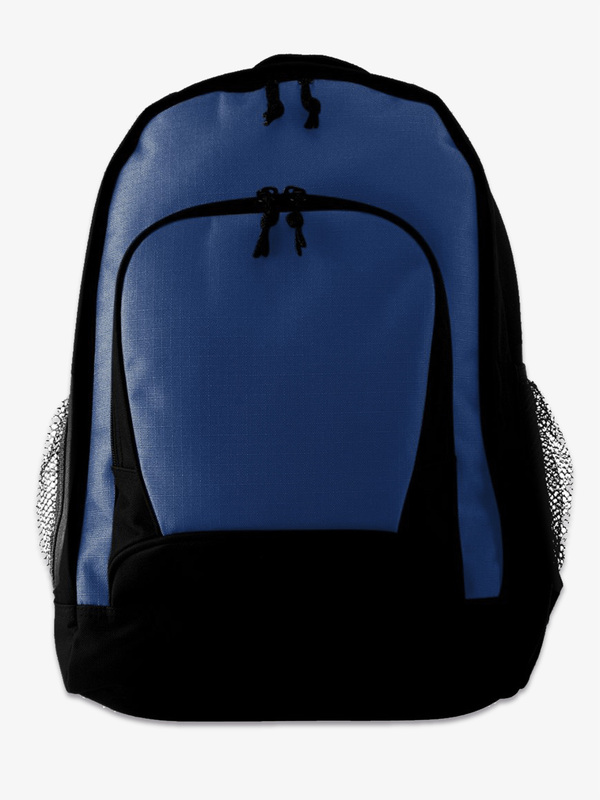 Bag also features a handle at the top of the backpack, a padded back for support and comfort and adjustable padded shoulder straps. 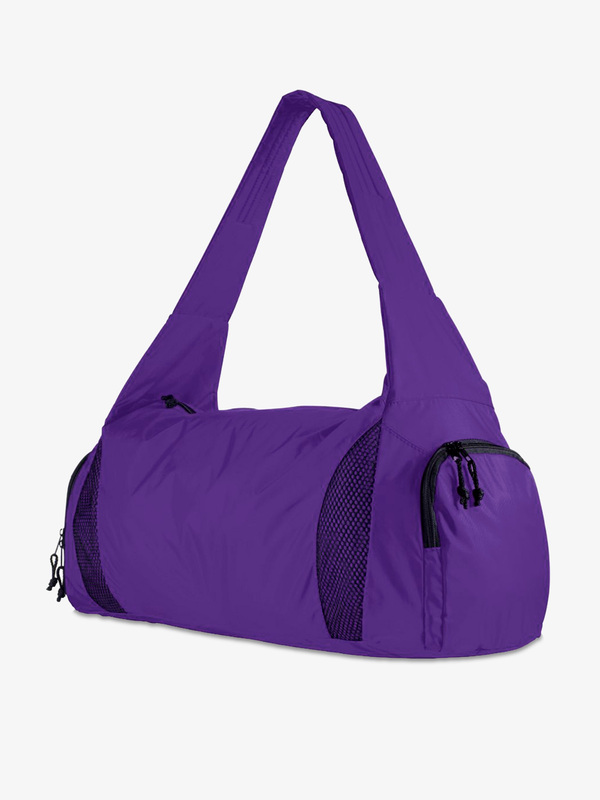 Great for carrying everything you need for dance class or practice!All Augusta bags are made in vibrant team colors with a simple construction that makes customizing for your special dancer or for the entire team easy! Size: 12.5-inch x 18.25-inch x 6. Augusta Adult Solid Racerback Tank Top AUG1202: This solid racerback tank is made with a moisture wicking, odor resistant fabric. Features include a ladies fit, self-fabric binding at the neck and armholes and a racerback design. Augusta Girls Solid Racerback Tank Top AUG1203: This solid racerback tank is made with a moisture wicking, odor resistant fabric. Features include a ladies fit, self-fabric binding at the neck and armholes, and a racerback design. Augusta Glitter Backpack AUG1105: This sparkly glitter bag features a spacious main compartment, a sturdy drawstring closure with magnetic top flap, a front zipper shoe pocket, full inside lining, and thick adjustable back straps. Back of backpack is slightly padded for comfort. A stand out backpack for dance practice or even school!All Augusta bags are made in vibrant team colors with a simple construction that makes customizing for your special dancer or for the entire team easy! Size: 12-inch x 17-inch x 8. 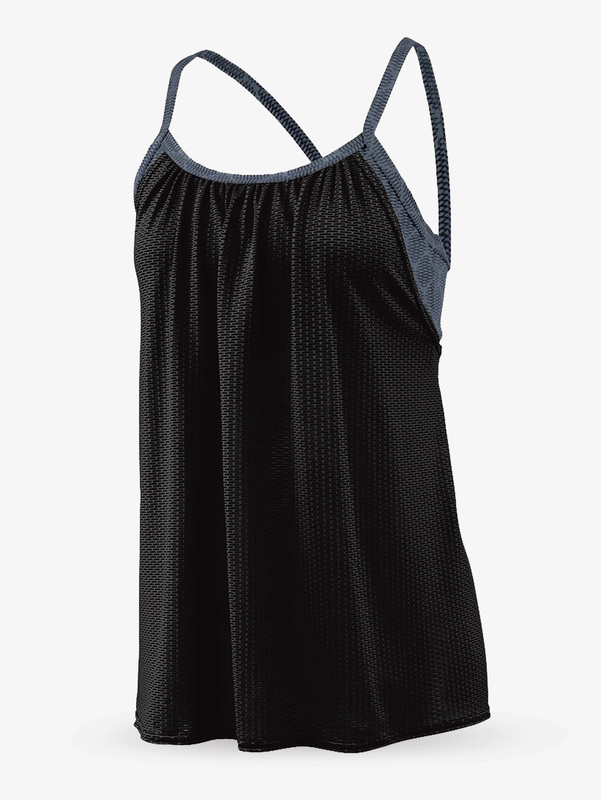 Augusta Ladies Maze Mesh Double Layer Tank Top AUG2422: This sporty camisole top features double layer styling with an attached front lined plexus printed bra top and a lightweight and breathable maze mesh overlayer. 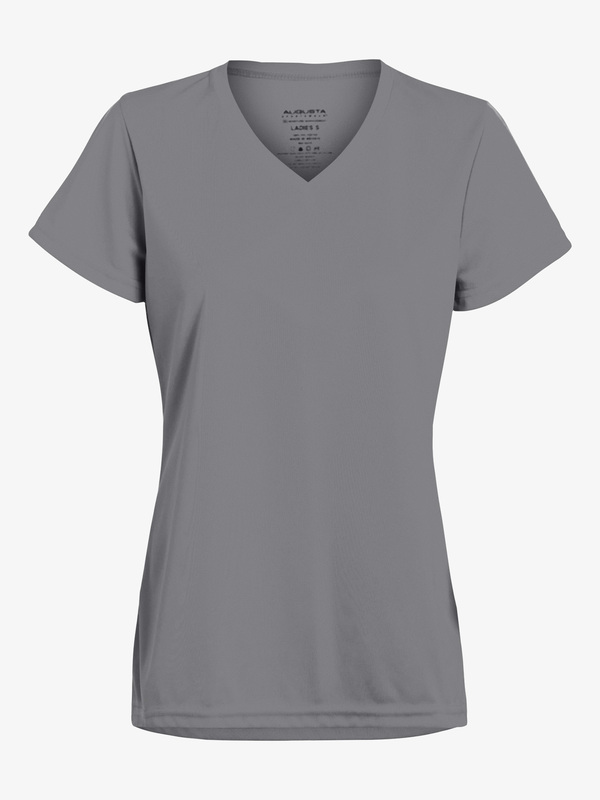 Top also features a racerback, a flattering ladies fit, trendy gathered neckline, and flatlock seaming. Great for class, cheer, or even the gym. Augusta Ladies Inspiration Tank Top Jersey AUG1282: This stylish racerback tank top jersey is made of an odor resistant, moisture wicking fabric. 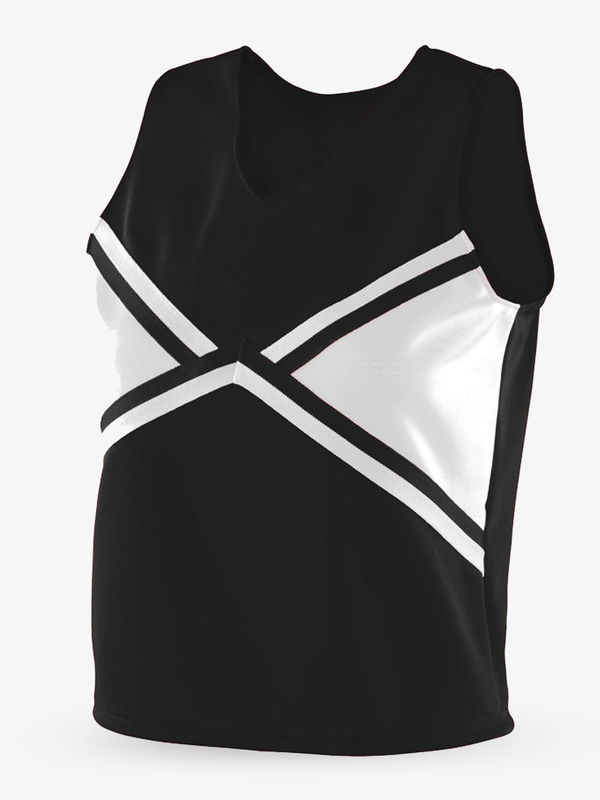 Tank top features a contrast color side panel and back moisture wicking pinhole mesh inserts for extra breathability. 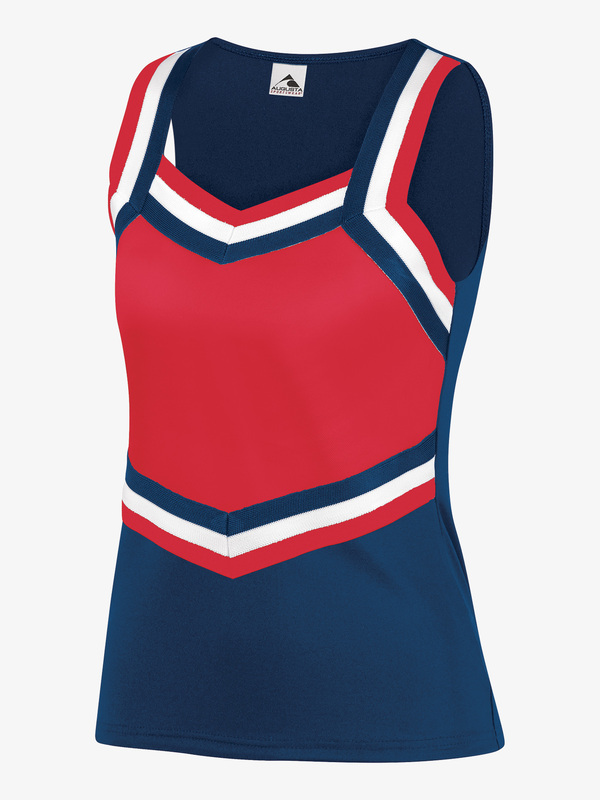 Augusta Girls Inspiration Tank Top Jersey AUG1283: This stylish racerback tank top jersey is made of an odor resistant, moisture wicking fabric. 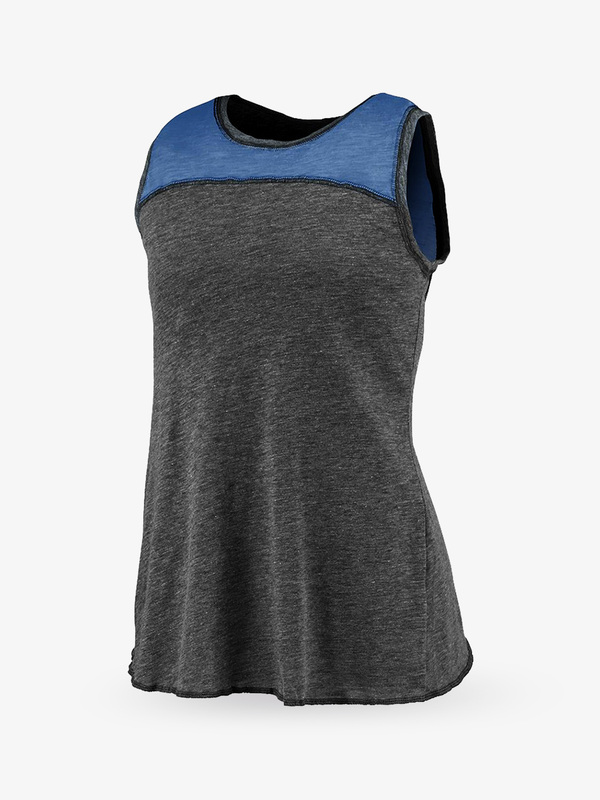 Tank top features contrasting color side panels and back moisture wicking pinhole mesh inserts for extra breathability. Augusta Ladies Overlapping Tank Top AUG3009: This stylish tank top features a comfortable polyester/cotton slub fabric, a flattering ladies fit, tulip-shaped overlapping back, contrasting neckline, and tagless label for added comfort. Augusta Ladies All Sport Tank Sports Bra AUG2417: This supportive tank sports bra features a spandex pinhole mesh back panel and inserts, an all over moisture wicking material, a pad print label for comfort, racerback styling, flatlock seamed construction for extra comfort, and contrast color pinhole mesh for added breathability. Bra has reinforced armhole seams for added support and soft brushed back elastic at the hem. Augusta Tri-Colored Dance Backpack AUG1831: This tri-colored dance and sports bag features a zippered main compartment with two zipper pulls, one angled white stripe on the front sides, separate black mesh zippered pockets on each side and a front black mesh pleated pocket with elastic binding. Perfect for storing jazz or pointe shoes! Bag also features black web handles reinforced at stress points, an inside zippered pocket, inside plastic key holder hook, padded back for support and comfort and padded shoulder straps with adjustable side tabs. Great for practice or class!All Augusta bags are made in vibrant team colors with a simple construction that makes customizing for your special dancer or for the entire team easy! Size: 16 1/2-inch x 16 1/2-inch x 9. Augusta Girls Pride Shell AUG9111: You're #1! 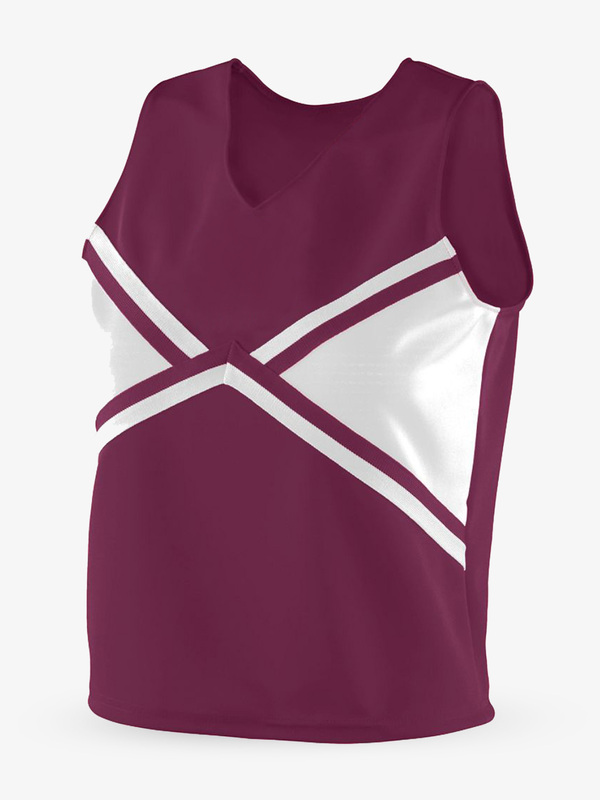 This cheer tank top features a v-neck and contrast color upper front panel with two-color rib trim.